The Campania oak flooring range is a charming selection of key colour stained andnatural finished 20mm engineered oak floor boards. Campania rustic grade isspecially selected at the mill to offer a beautiful rustic floor with good colour variation and a decent amount character. The standardoiled board in the Campania range has been chosen for its consistency offinish and unrivalled standard of milling. The natural oil finish gives thewood a beautiful tone bringing out the character properties. The hardwax oil finish makes the Campaniarange not only easy maintenance but also a very durable surface. Source Wood Floors recommends the use of the Osmo maintenance products to keep your floor looking like new. 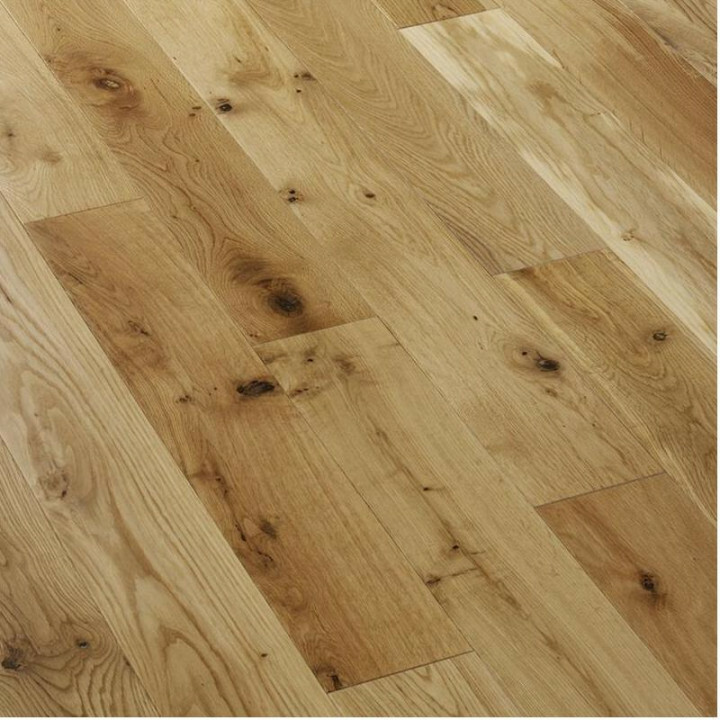 TheCampania range of boards offer a substantial 6mm top layer of oak in abeautifully machined plank comprising a high quality base layer, resulting in amultiply construction that gives superior strength and dimensional stability.It comes in a 1.805 sq m pack. Installation with a Sika wood flooring adhesive is recommended and ideal for use with underfloor heating installations.